I am about to try this on my sd2snes on an original snes. I unchecked VC, SNESCE, and fastrom. Anything else I should change? EDIT: so far so good with this^ The MSU1 music sounds great. Have you considered also including the "Better Default Text Boxes" with this? I'll get the last of Kethinov's patches imported eventually. Are you using a recent version? I had seen a problem with player unconscious state but I thought I resolved it before the first public release, so I'm kind've at a loss. In recent play-testing though, I haven't had any issues when getting knocked unconscious, so I'll need a description of where it's happening (like a specific enemy, boss, etc.). I've had it happen too involving the early mushroom enemies so far. If my AI partner gets knocked out instead, they just sort of glitch the camera out and start trailing me like a super ghost with their animations glitching. Great work, wow I am really impressed. I actually would prefer a PAL, 50 HZ, version over the NTSC 60 HZ one. I also tried to play around with limiting frames in zsnes and snes9x and bsnes to just so every slightly slow down the game. Sadly they all just have a slider which halfs or quarters the frames per second. None supports a fine grained adjustment. The version runs at 60 fps and I would love to play at 50fps or might even 55 fps. Is there any way to get the german translation working with this? I just did a fresh run up to the first mushboom enemies, and let them knock me out, and couldn't reproduce the issue (and I've tested against plenty of other unconscious circumstances the past couple weeks). Before Feb 26th there was a bug in the running on stairs patch that caused this issue, but I fixed that before the first public release. So, it could be some mix of features that's triggering this, or using an impossibly outdated version of the patch, or an externally applied patch, or maybe a cheat code being used that's causing this? I'd like to get it figured out, but at the moment I cannot reproduce the bug. I know what it looks like, because it was a problem I saw 3 weeks ago, but I can't get it to happen with the patch as it is now. 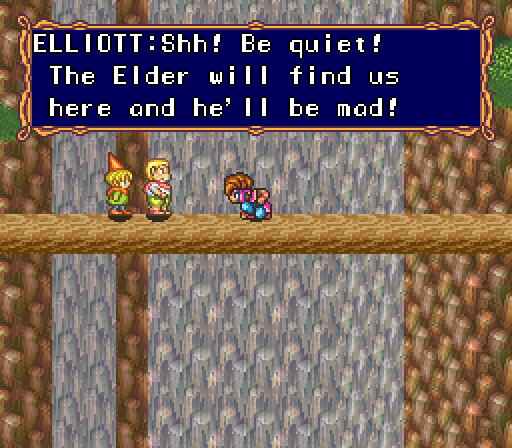 Can't make any promises regarding framerate options; don't actually know how SNES games control their framerate, but I'll see what I can find out. By German translation, do you mean the European version of the ROM? Or is there a German translation patch that's applied to the US ROM? Supporting the European ROM is probably not sanely possible (while it's more similar to the US ROM than the Japanese ROM, it's different enough that most patches have to be reimplemented), but if there's a translation patch I MIGHT be able to support that. Edit: Okay, was finally able to reproduce the unconscious lockup bug. Has something to do with certain mod-added weapon attack animations not stopping correctly when you get knocked down. Will look into it more tomorrow. I'm sure he is referring to the official German version of this game. I don't think there is a German translation patch available. I am pleased at the faster and easier nature of this. Introducing my daughter to gaming via quality retro games (largely focused on two player ones). She's not ready for this game yet, but when she is, this will be the version I go with. Nice work on this hack. Count me in the group that thinks eliminating stamina and making SoM more like Zelda is not an improvement. I tried it, found it amusing for a half hour, then realized it trivialized the game's difficulty. Yeah, SoM has always been fairly easy, but this puts you in god mode. However I think this is a worthy alternative way to play and I fully endorse people trying it out to see if they like it, because I think this will be the kind of hack you either love or hate. And it's okay to love it. Also, I definitely want to try combining turbo mode with Masterflow's hard mode hack to see if they kind of cancel each other out. That might convert me into a believer. Anyway, I also wanted to say the raft of other smaller hacks in your epic list are also all awesome. I definitely appreciate that you made a half stamina hack for those of us who just can't let go of stamina in SoM. I prefer that mode. It's a good compromise. Increases the pace but without making it manic. Lastly I wanted to point out a bug: rain of arrows is broken in levels that have rolling clouds, like Thanatos levels. Found another one: the whip post changes make some of the whip posts quite difficult to use. 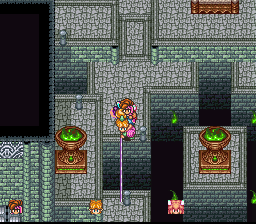 I can't whip across the final whip post in the Grand Palace at all, so I'm effectively softlocked. For now, you can disable [Overcharge_Fix] to work around that. [Overcharge_Fix] hooks weapon change code so I piggybacked on it to clear the whip post flag (hadn't gotten around to separating that, and previously thought it was harmless), but apparently that code fires at unexpected times as well. Had never seen it being as finicky as it as at that spot. You can actually make it past if you try enough times (have to keep stepping off and back on the launch spot), but that's not acceptable. Thanks for reporting the rain of arrows issue. I barely understand how zhaDe made that work so have had a bear of a time working out the kinks it has, but I'll get it figured out. Back when I gutted stamina nearly a decade ago, I did combine it with Masterflow's Hard Mode when I played it, but it got really REALLY tedious in the Pure Land. I'll likely get it imported into the patcher eventually regardless. Want to get through the rest of your stuff first though. My To-Do list is finally getting somewhat short, but I have a couple critical things on it at the moment, particularly the unconscious animation lockup. Nah, I got stuck on the one on the right side. For now, you can disable [Overcharge_Fix] to work around that. Good to hear. I will try that. I made it harder for you because I just released a bunch of stuff. The new weapon stuff is great but I really dislike the bow rain of arrows! Anyway to just disable the rain of arrows?! Might be worth making a checkbox that changes the bow from rain of arrows / long shot to short shot / long shot. - Removed buggy part of whip post fix. Kethinov, bring it on. I like your stuff. I, uh, really need to get to importing it all. Your stuff is actually usually easy to import (because you tend to keep things minimal and clean), so I keep telling myself "oh, it'll just take 5 minutes, I'll get to it last" and then it's time to call it a night. With the release of your big new project, do you want me to bother including your older item rebalance? Not sure if you'd prefer if I sideline it entirely. GrimVandal, if you're willing to open the ZPS file with a text editor and tweak a value, yes, Rain of Arrows can be disabled. - Notice the line marked with "' bow"
I'm not currently interested in hooking up piecemeal configuration to the custom attack animations, so manual changes in tbl_attacks is currently your option for tweaking it. I'll consider it after I'm sure all the bugs in the custom animation system are dealt with. Throw them both in. I'm sure some will prefer the old one for whatever reason. That's why I released some of the stuff developed for the new one like the Faerie Coconut as standalone hacks. Makes it possible to mix and match things more easily. That's for the "you can disable [Overcharge_Fix] to work around that." issue you mentioned earlier? >- Removed buggy part of whip post fix. Is for the [Overcharge_Fix] issue that was mentioned earlier. Was an unreported issue I found while trying to figure out the unconscious lockup. To clarify that line, "charge locking" is a sub-feature of [Faster_Charging], where you can hold 'A' to stall weapon charging. Under certain conditions it could cause an infinite loop (but is fixed now). As of the time of this post, I am not aware of any unfixed critical bugs. Writing this in the hopes it prompts someone to prove me wrong (because I like fixing bugs).